Widely considered, outside of Madrid at least, to be the finest footballer on the planet Lionel Messi is as useless at picking out what to wear as he is brilliant at picking apart opposition defenses. 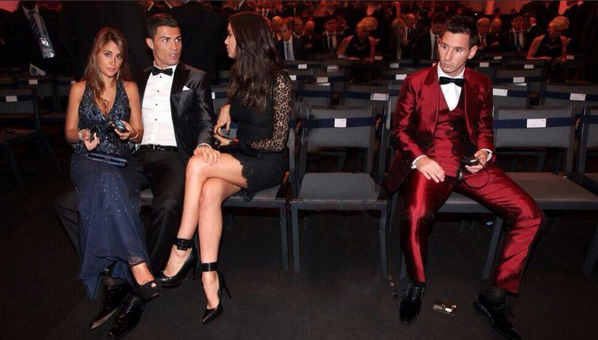 As if his comically bad shiny maroon suit he wore to a recent FIFA Awards night, one of those annual events where they give him a prize simply for being Messi, wasn't bad enough he's now outraged a nation with his dress sense. While in Gabon, the Barcelona star went on a VIP tour of the capital city, Libreville, organised by former teammate Samuel Eto’o, who is a close friend and advisor of Gabonese president Ali Bongo Ondimba. 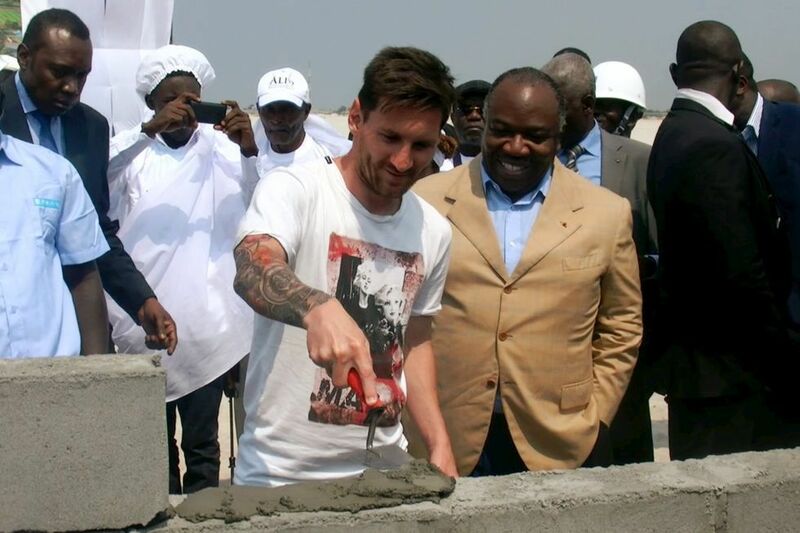 The president also asked Messi to place the first stone for a new national stadium being built for the 2017 African Nations Cup. For such a momentous occasion you figured that Messi would perhaps put on a suit, or even a nice pair of dress pants and a button up, but instead he opted for a pair of scummy looking shorts and a t-shirt. As if he was going to the beach or the zoo. “The messiah of football arrived in Gabon like he were going to a zoo: dirty, unshaven and his hands in his pockets, looking for peanuts to throw to them! 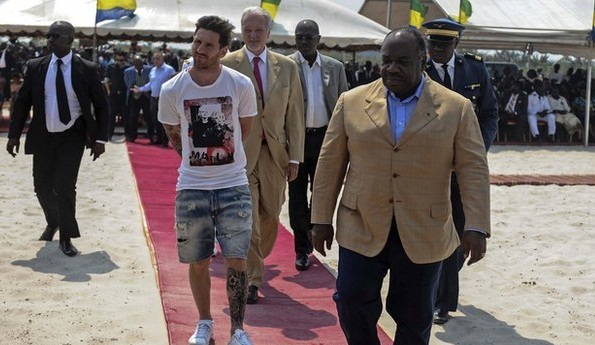 “When you’re called Lionel Messi and you’re a multi-billionaire, you don’t have the right to present yourself to officials of a republic, even a banana one, with your hands in the pockets of a ripped, tattered pair of shorts. “Gabon isn’t a zoo. We don’t know what the Argentine came to Gabon for, but we at least have the right to denounce his negligence and his lack of respect for standards and principles. That Messi dirtbag was also accused by France Football magazine of being paid €3.5million for the visit, but the Argentine play maker strongly denies that.